BAGD Alumnus Justin Knopp worked on the main titles for Steve McQueen¹s acclaimed movie, ’12 Years a Slave’. Established since 2008, ‘Typoretum’ was founded by Justin Knopp and his wife Cecilia in response to the recent revival of letterpress printing. Justin¹s first interest in the aesthetics of letterpress came whilst he studied BA (hons) Graphic Design at Central Saint Martins College of Art & Design (1991-1994). 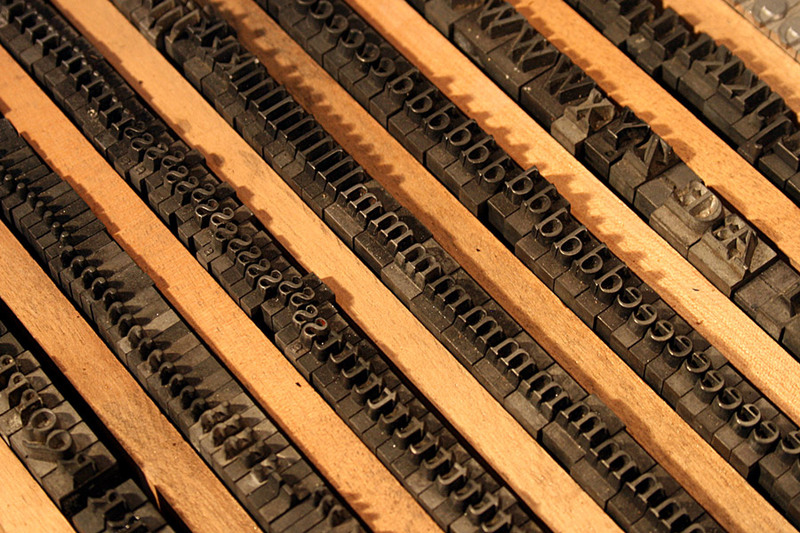 Since graduating, his involvement with letterpress printing deepened and he amassed a substantial collection of lead and antique wooden types, printing machines and other paraphernalia. Today Typoretum is a busy, family run, contemporary letterpress design & printing studio offering a wide variety of services. These include short courses and internship opportunities to ensure that the craft is kept alive and continues to be taught to a new generation of letterpress printers, designers and enthusiasts.